Another devastating storm hit my beloved country, the Philippines. 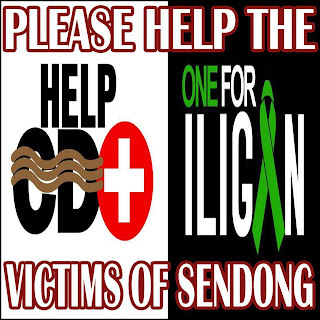 Tropical Storm Sendong a very devastating disaster brought a lot of fatalities and homeless people in the Mindanao area, specifically in Cagayan de Oro and Iligan City. 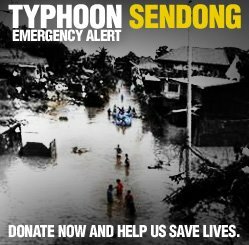 As of this writing, Undersecretary Benito Ramos, chairman of the National Disaster Risk Reduction and Management Council (NDRRMC), said that a total of 1,002 people have been confirmed dead, including 650 in Cagayan de Oro City and an additional 283 in Iligan City. More fatalities are assumed and expected to arise in the next days to come as retrieval and rescue operations are still on-going for more people are still reported missing. Most people killed from the flashfloods were helpless children. Houses were washed away; thousands are homeless as of this time, meager of food, potable drinking water, clothing and shelter. I personally would like to make an appeal for your help, be in goods, in kind or monetary contribution. 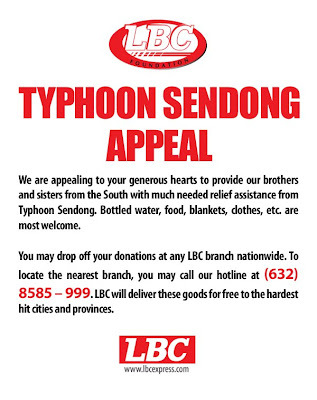 To share, to reach out and to give something for the victims of Sendong. Christmas is just three days away. May we share the spirit of Christmas through giving. 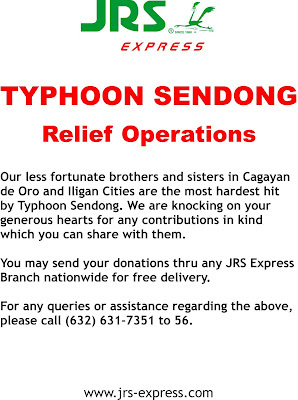 It would really be of great help to these victims who are in dire need as of the moment. Thank you very much for your kindness and generosity. May God bless you a thousandfold. weeeH i just hope that the goods will reach those who really need them.. Merry Christmas mommy Joy! yes Ms.Joy I did not po..may they still feel the Christmas spirit though it is really hard po for them..I hope on our own little ways and prayers it will at least lessen their burdens..